So, here it is. My first blog entry in nearly two years and I have decided to review one of the many films I watched last year which, in my humble opinion, was extremely underrated. I don't think the world has given enough love to the found footage sub-genre of Horror films. A sub-genre which I find highly enjoyable, as evidenced by some of my past posts, Skew, Grave Encounters and V/H/S to name but a few and of course, my number one horror film The Blair Witch Project. The love for this sub-genre, sadly died almost as quickly as it had emerged. From the seldom seen gems like said Witch project to a barrage of low budget, sub-standard and almost identical blunders, it could be easy to see why. As I said though, every now and then we find a film which not only reignites our love for a certain sub-genre but reminds us why we ever loved it at all! 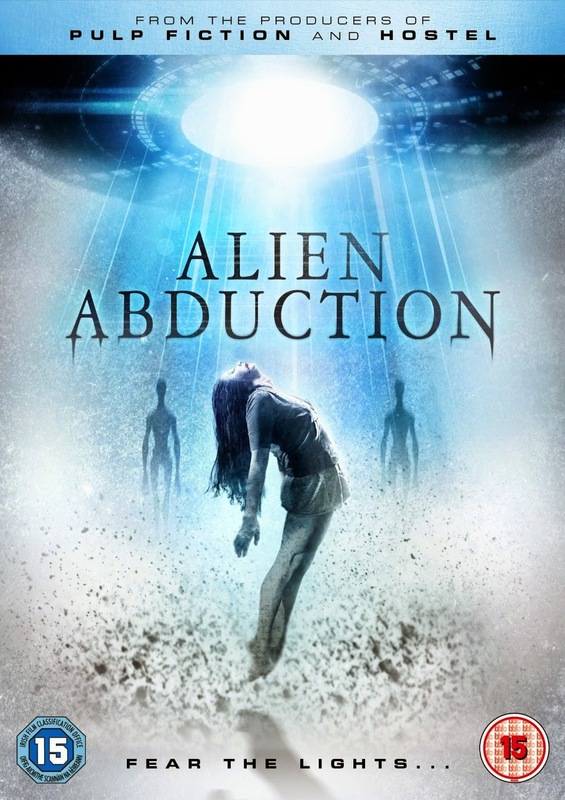 Alien Abduction follows the Morris family whose autistic son Riley, is capturing the families camping trip on film. Along with his Brother, Sister and parents the family begin to fall foul to strange occurrences. Jumps, jumps and a few more jumps along with the occasional “did I just see that” moment keep things moving along very swimmingly. Some good characterisation is built as the film plays out and the ever present Riley, does a great job with the camera. Riley's autism brilliantly lends itself to a very plausible explanation for the continuous filming. An aspect that a lot of found footage films glaze over with the time honoured “People need to see” excuse but in reality, why is the camera not the first thing to find itself flung to the floor as the rational people run for safety? The film obviously includes more than that and when I say more, I really do mean it but I, as always do not like to give anything away and that includes the very basic of basic! Having read a few other reviews of this film I was disappointed and somewhat surprised to learn that my enthusiasm for this film was not shared by many, if any at all. What some might call formulaic and predictable, I might call... well. Formulaic and predicable but why is that necessarily a bad thing? Sometimes when you watch a horror film or a sci-fi film or any film for that matter it really shouldn't make any difference if you predicted what was going to happen or who was going to bite the dust. Relax, enjoy it, it's not a competition to see who is the best wannabe Director. If you think you're that good, do it! I don't buy into the Academy way of watching films where only films with a message or cultural relevance can be viewed as good or acceptable. If I watch a film and I don't find myself checking the timer to see how long is left, then there is a good chance I enjoyed it! While the storyline is not the most original, the film is full of little treats for the eyes, good acting and a level of tension is generated that befits a film of this subject matter. As the camera rolls and the story progresses, we lose some of the tension but not to the point where we lose all interest. I cant change anyone's opinion and I don't try to, I simply put my own views on films across and if you disagree, that's your opinion. Funny how that works hey? If you haven't already seen this and you've just read my “review” to try and influence your decision on whether to watch it or not, please do but don't watch it expecting to see the greatest film ever made, or even something to make your top 500. Instead watch it the way I watch all films... Suspend all belief, have no expectations and just enjoy it for what it is. A low budget but well made hand held film about aliens. Alien it is not be but then again, how many films can claim they've come anywhere close what is in my opinion the bar for the sci-fi/horror genre?